Why is FindSouthWestFloridaRealEstate.com the #1 SWFL Real Estate Search Engine? FindSouthWestFloridaRealEstate.com is the only real estate search in South West Florida you'll ever need. 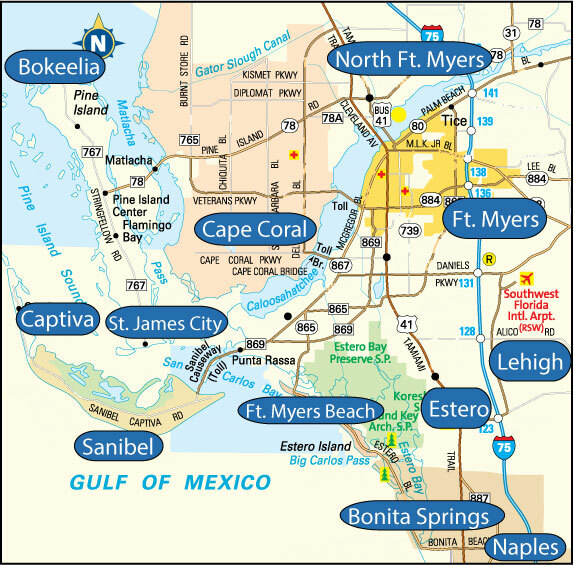 We show more listed SWFL homes than Trulia & Zillow. Our listings are updated every 15 minutes with the newest homes. We have a direct feed from the MLS for the most accurate data. For Your Convenience we have created the following QUICK SEARCH LINKS to assist in your search of the following Cities.